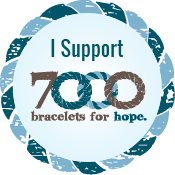 7000 Bracelets for Hope Blog Hop Reveal! Wow, I knew it had been a little bit since my last post, but I didn't realize it had almost been a month! When life gets crazy, it gets crazy! Thankfully, I signed up to participate in a blog hop for 7000 Bracelets for Hope, an organization that provides blue bracelets to those and their families that are living with rare genetic diseases. I enjoy doing blog hops as I view them as a challenge to force myself to try something new, or at least something different. I have been becoming more interested in fibers and micro-macrame lately, so I decided I was going to create a fiber-based bracelet for this blog hop. And as I had just received some yummy blue hemp, I figured it was meant to be! 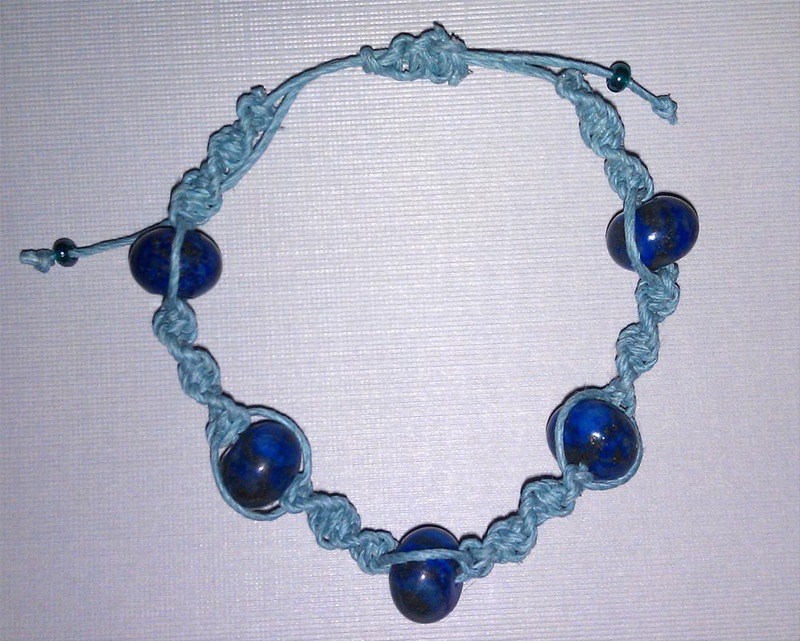 So I broke out my "Shamballa" micro-macrame tutorial that I had purchased from Hannah Rosner and went to town. I had bought some pretty deep blue gemstones at Bead Fest, so they formed the beaded part of my bracelet. The rest is the blue hemp, a couple of seed beads and a whole lotta knots! I love this bracelet! It's the first time I made something with an adjustable slider like this, and I plan on using this technique a LOT! The tutorial calls for square knots, but I knew I wanted the twisted look to add some flair, so I am happy I went with my vision on that. I am amazed at how quickly the bracelet went together, so I won't have to be sad that I am sending this one in to donate--I can just make myself another one!